Two of the most prevalent types of headaches are sinus headaches and migraine headaches. Yet the treatment for each of these are quite different. How can you tell the difference between these two types of pain? The pain can be sudden or can come on gradually. The pain is often accompanied by dizziness, nausea or vomiting. The pain can be in a variety of locations, including just one side of the face or head, or even traveling down the back of the head and neck. Light appears to exacerbate migraine headaches. Unfortunately, many patients struggle with occasional or even chronic migraines. 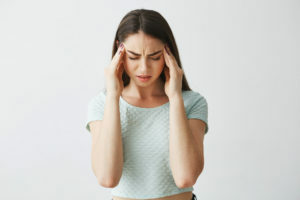 These patients tend to know the migraine triggers, that is the things that can turn into migraines like stress, certain food combinations, menstruation, weather patterns and other illnesses (including sinus headaches). For regular migraine sufferers, a migraine headache begins to follow a recognized pattern in terms of the development of the pain, where the pain travels in the head and even the duration of the pain. Moderate or severe pain in the head, above or behind the eyes, in the cheeks, and around the bridge of the nose. Sinusitis can be on one or both sides of the head or the face. Sinusitis typically does not involve the back of the head or the neck. Sinus headaches often get worse when the patient moves their head, so coughing and lying down can be painful. Sometimes even touching the face can hurt. Often, sinus headaches are accompanied by a runny nose, which can be clear or can be yellow or green in color. Sinus infections, when untreated, can create even more problems. Unfortunately for migraine sufferers, sinusitis can also bring about a migraine. There are a host of medications that are prescribed for relief of migraine headaches. Some of these are meant to stop the migraine in process and other drugs are taken in the hopes that they will prevent migraine “attacks”. Drugs used for occasional migraine relief include over the counter aspirin, ibuprofen and acetaminophen, as well as over the counter drugs specifically combined with caffeine. These over the counter drugs have been known to cause ulcers and and other gastrointestinal bleeding. A large variety of prescription medications are also being used to combat migraine pain, including triptans which constrict blood vessels, Ergots, which include caffeine, anti-nausea medication, opioid medications (which have an inherent danger of being highly addictive), and steroid-based medication. There are also some drugs that are perceived to prevent migraines. These include beta blockers, calcium channel blockers, antidepressants and anti-seizure medications. Migraine sufferers may also benefit from certain lifestyle changes like quitting smoking, getting enough rest and beginning a moderate exercise program. In addition, in the midst of a migraine headache, sufferers can often find short-term relief by lying down in a cool, quiet, completely dark environment. Sinus headaches are the result of either an allergic reaction an infection in the the sinus cavity. This infection can be viral , bacterial or fungal. Sinus headaches that are allergic in nature typically occur at the same time each year to correspond with the increased presence of the allergen, typically a pollen. A variety of medications will be prescribed for sinusitis, including antibiotics for a bacterial infection, as well as decongestants. Allergic sinusitis will also be treated with antihistamines and steroid nasal sprays. Recurrent sinusitis may require surgery, if it appears that there is a malformation in the nose. Please refer to your health care team for a definitive diagnosis and appropriate treatment for all headaches.